For so many years writing about perfumes, I got acknowledged with expensive, rare, cheap and intense notes. Saffron is a rare and expensive ingredient used in food, as well as in perfumes to give a pricy aroma and taste. Today, I will write about Avon’s new perfume for women that has a nice, new and more qualitative composition rather its old perfumes. 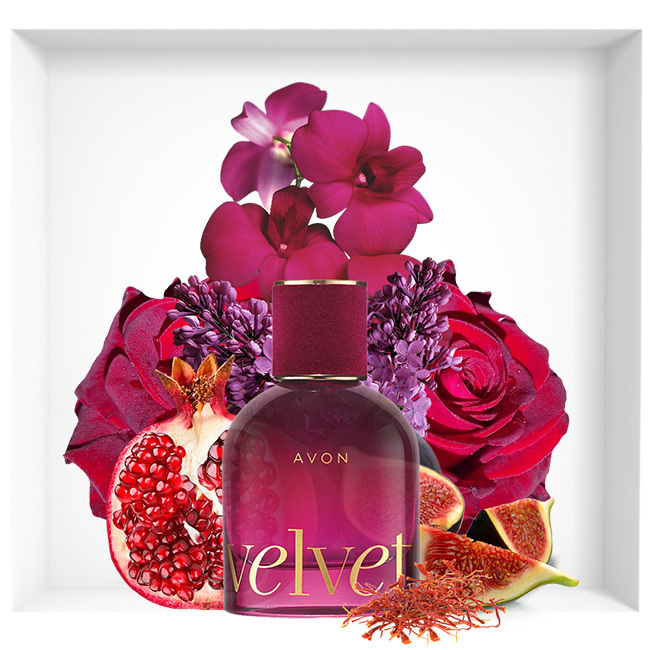 Avon Velvet Eau de Parfum is the new ‘warm, lush and decadent’ perfume for women with a nice intense velvet color cap and bottle, which is very simple, yet gorgeous and eye-catching for me. I am not familiar with Avon products, nor I do know that this brand exists and has a good reputation on the market. I found some reviews about this perfume that some Avon fans will compare it to Gucci Guilty Absolute perfume, but I would admit that it is still a big difference between Avon and Gucci perfumes. Gucci still has a paved name in the fashion industry, which I doubt Avon has the same popularity. However, Avon has created an outstanding and very intensely gourmand perfume for women with good and high-quality ingredients, only to be praised and admired. The bottle is very simple, yet attractive with a ‘burgundy red’ colored cap and bottle. Avon Velvet Eau de Parfum is available in 50ml.